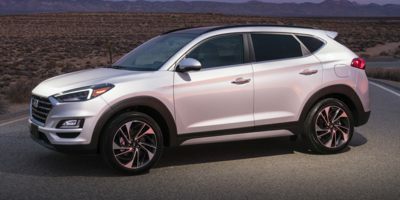 Buying a 2017 Hyundai Tucson, and saving $3000 off of MSRP. Buying a 2011 Hyundai Tucson, and saving $2500 off of MSRP. Flexability and pricing vary from dealer to dealer. Go to high volume dealer as the profit margins that need are smaller. Bank street hyundai was very accommodating. First, the salesperson took time to go over the whole car, including under the hood where 5 previous salespeople/dealerships had failed before. The dealer was willing to neogotiate and respected the wholesale price report. I simply used the report, added 4% profit, and added/substracted out all other details (frieght, gas tax, rebate, etc.) to come to a justifiable offer, and it was accepted. Buying a 2008 Hyundai Tucson, and saving $6000 off of MSRP. I purchased the vehicle due to the cash purchase incentives and 5 year warranty. I added $556 to the dealer cost and said I would sign if the offer was accepted, otherwise I would have to go home and think about it. The offer was accepted immediately. Try to negotiate without taxes and trade ins - makes it easier to know if you are getting a good deal or not - we didn't do this and I am still not sure if we got a good deal as everything happened so fast! Buying a 2008 Hyundai Tucson, and saving $1500 off of MSRP. The sales representative Fakhri and the sales manager Amir worked with me and was exceptionally receptive to my car cost canada quote. They immediatly worked with me to make the sale at a fair profit to them and a fair savings to me. No hassle whatsoever. 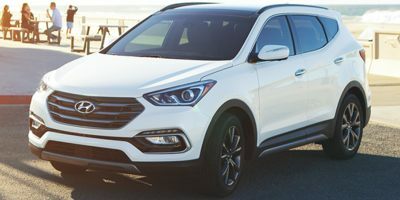 Buying a 2017 Hyundai Santa Fe Sport, and saving $1500 off of MSRP. Buying a 2016 Hyundai Santa Fe Sport, and saving $1750 off of MSRP. Great opening in dealing for the car. Beat the proposed sale price of carcost. Buying a 2012 Hyundai Accent, and saving $1000 off of MSRP. Sales representative demonstrated patience, charisma, and great understanding. He was able to offer me a low price I had wanted. No issues with pick up or signing papers; a very inpleasurable experience made pleasurable! Meyers and Hunt Club Hyundai were also great dealerships! In the case of a hot selling new vehicule, sometimes you just have to go where there is a car available! Wasn't my first dealer choice, but ended up being a great experience altogether. Presented the CCC report when we started to talk money, I offered 3%, and the sales rep was more than happy to oblige. It obvisouly helped that it wasn't they're first time dealing with CCC. Buying a 2009 Hyundai Accent, and saving $4000 off of MSRP. Car cost canada is a joke. According to the CCC report, I paid less than wholesale price, and I did it with very little effort. This tells me that the data CCC is supplying is hopelessly bad. Additionally, CCC sent my private information, i.e. my email address, to a third party (Performance Mazda), without my permission. This is questionable ethics, and perhaps even illegal in Canada. It is pretty clear that CCC is a front set up by dealers to dupe the naive Internet shopper. Buying a 2008 Hyundai Accent, and saving $4000 off of MSRP. 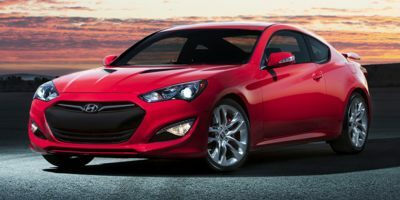 Buying a 2011 Hyundai Genesis Coupe, and saving $3000 off of MSRP. I took my report with me and they had no problem with starting with that price. Buying a 2010 Hyundai Elantra, and saving $2000 off of MSRP. It is a perfect vehicle and an awesome dealer to work with. Buying a 2010 Hyundai Elantra, and saving $2500 off of MSRP. This was a convenient location for me, but this also happens to be a high volume dealer so discounts were fairly good. With my CarCost information in hand, there was very little drama at the dealership. Buying a 2010 Hyundai Elantra, and saving $5000 off of MSRP. We couldn't find a vehicle that could be matched for the price, warranty and overall options. By having the wholesale price report, it allowed us to use it to get the same price for the upgraded model for the price of the base. We felt good about our purchase. Buying a 2009 Hyundai Elantra, and saving $5000 off of MSRP. The dealer said they would match the Wholesale Price Report; however, their numbers were working out differently. It took a lot of back and forth to convince them; more hassle than I would have liked. Buying a 2009 Hyundai Elantra, and saving $1000 off of MSRP. Make sure to go in with your Wholesale Price Report right away. It will save a lot of time with regards to negotiations. Try to find a dealer that is selling cars similar to your trade on their own lot. Buying a 2009 Hyundai Elantra, and saving $2000 off of MSRP. A solid and wide range of advertising brought me to the Bank Street Hyundai dealership. Having the right price number in my memory (thanks to the Wholesale Price Report), I knew right away if the price offered to me was acceptable. As it happened it was a good deal from the start. 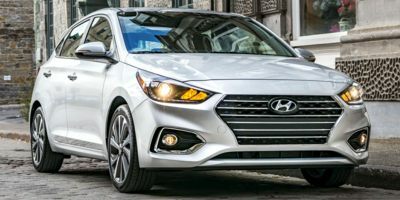 Witout a doubt, I would recommend for potential car buyers to visit CarCostCanada.com and Bank Street Hyundai in Ottawa as well. 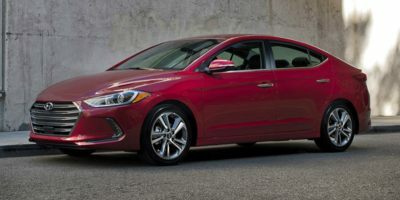 Buying a 2008 Hyundai Elantra, and saving $5000 off of MSRP. Buying a 2011 Hyundai Santa Fe, and saving $4000 off of MSRP. I was able to get the CarCost Canada wholesale price - 500$. Be honest by showing the Wholesale Price Report upfront, seeing what incentive were available really helped for example, factory to dealer rebates. Not wasting our time or theirs. Buying a 2010 Hyundai Santa Fe, and saving $3000 off of MSRP. I used the Hyundai web site to locate and send a request to a dealer for a quote. The sales rep responded within 2 hours. He agreed to the procedure suggested by CarCostCanada.com. I told the sales rep that I had a CarCostCanada.com price and he asked how much over the wholesale price I expected to pay. I told him 3% and he agreed immediately, and provided financing better than I expected. I test drove a vehicle that afternoon and an agreement was reached at that time. We signed the papers the next day and I drove the vehicle off the lot two working days later. The dealer did everything I asked and better. Cheers to the sales rep. There were no games, no hassles, it was the best experience I have every had with a sales rep.
Buying a 2009 Hyundai Santa Fe, and saving $3000 off of MSRP. I researched reliability, safety, performance, pros & cons via Consumers Reports and other internet-based sites. I visited the dealer before ordering the price report and then when I went back, I had the wholesale financial information and factory to dealer information to make a more informed and reasonable offer for both parties. The day I purchased my Sante Fe I stopped into Mendes Toyota on Bank Street and made an offer on a Silver RAV4 V6 Sport AWD. The salesman told me it would cost the dealer $600 to ship the vehicle from Thunder Bay because there were none in Ottawa. There was no further discussion. He didn't seem particularly interested in making a sale or getting my business. I drove to Bank Street Hyundai and made an offer of $30,500 on a Sante Fe V6 GLS AWD (includes leather and heated seats) and they accepted. The price includes 0% financing for 48 months. Bank Street Hyundai were keen to have my business and I like that. I generally found Toyota salespeople at the Ottawa area dealerships to be either arrogant and not interested in making a sale. The information in the Wholesale Price Report was especially important in obtaining what I believe was a great price on a vehicle that offers exceptional value for money. I used the following formula: CCC invoice price - Incentive - Holdback (2%) plus dealer profit (3%) and fees. It was accepted. Buying a 2008 Hyundai Santa Fe, and saving $7000 off of MSRP. Having the wholesale price provides the necessary information to highlight that you are a well informed consumer and that you are prepared to allocate a reasonble profit margin. 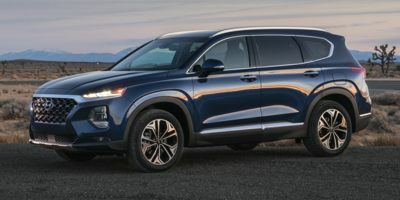 Buying a 2008 Hyundai Santa Fe, and saving $5000 off of MSRP. I mentioned up front that I had obtained a Wholesale Price Report from CarCostCanada and this brought about open and frank discussion from the outset. Tim Boileau was referred to me by a co-worker who had also purchased a vehicle from him. Bottom line, he was straight forward and honest and this is what prompted me to purchase from this dealership. Other dealerships in the Ottawa area could not match the agreed upon price offered through Bank Street Hyundai. Buying a 2010 Hyundai Sonata, and saving $6000 off of MSRP. Buying a 2011 Hyundai Sonata, and saving $1500 off of MSRP. I got 3% over invoice and got them to throw in the Ipod link cable and winter floor mats for free. Not bad considering the demand on this car at the time of purchase it had been out for less then a month. Buying a 2009 Hyundai Sonata, and saving $6000 off of MSRP. The dealer was recommended by Car Cost. I used the wholesale price as a starting point, but negotiated on the basis that the 2010 models were coming in a few months and the impact of the financial crisis on dealers' sales made them more eager to sell. I believe some dealers are quite anxious about maintaining their quotas. This purchase was a much better experience than the one we had at Myers for our own SUV. Buying a 2008 Hyundai Sonata, and saving $1500 off of MSRP. The vehicle is undoubtedly the best buy for the money anywhere. Comparable vehicles at Honda, Toyota and Nissan were 7 to 10 K more and that doesn't count the 5 year vs 3 yr warranty. No high pressure salesmanship. Service manager gave me a call at home at my request. They actually seem to want to sell you a car. They are fully aware of carcost Canada and the low bid (slightly below wholesale) illicited the comment. 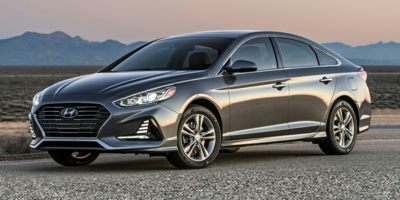 Buying a 2008 Hyundai Sonata, and saving $2000 off of MSRP. My savings include $5150 manufacturers rebate. The car has a high rating by Consumer Reports and others, a VERY competitive price vs. Camry and Accord plus the manufacturers' promotion. Buying a 2008 Hyundai Sonata, and saving $4000 off of MSRP. Bank Street Hyundai is the number 1 volume dealer in CANADA. Therefore, I felt they had more negotiating room than other dealers. I paid $500 over invoice. Also I had the price from a Toyota dealer that I was using as a comparison. Buying a 2008 Hyundai Sonata, and saving $2500 off of MSRP. Take your time and be patient. Play the pricing game. Shop around at 2-3 dealerships. Make them compete against eachother to get the lowest price. Tell the salesperson that you have the inside information on the wholesale price and dealer incentives. Show them the report if you like. I didn't need to. I only mentioned that I knew of the incentives and wholesale price from the web. Buying a 2011 Hyundai Elantra Touring, and saving $4000 off of MSRP. Savings above include $2900 trade. Always hold the line, and visit more than one dealership. Buying a 2011 Hyundai Elantra Touring, and saving $3000 off of MSRP. Buying a 2009 Hyundai Elantra Touring, and saving $2500 off of MSRP. Call - don't go in when you're ready to buy. Tell the first dealer your talking to that you'll buy at 3% or you'll be calling around to the other dealers. Worked like a charm for me. Buying a 2009 Hyundai Elantra Touring, and saving $1000 off of MSRP. 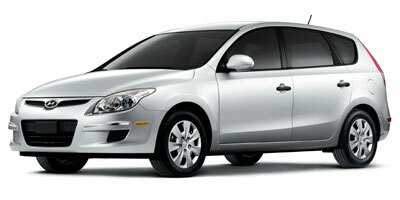 Bank Street Hyundai is experienced with CarCostCanada purchasers. Being a member opened the door for me to a serious, quick (1 offer) sale. My Elantra Touring Sport had a $1428 markup with no incentives or rebates available. Using CCC data and advice I offered the dealer 3% profit over invoice. It was immediately accepted. I saved $800. The business manager said all but one other Touring sale had cost the purchaser more money. Knowing all the numbers puts you in complete control of your car buying experience. CCC = peace of mind. Tell the sales rep you are a member of CarCostCanada and have your price report with you. Tell them you are there to buy the car; then they know you're not fooling around. They know it is up to them not to let the sale slip away. A good dealer will cut out the nonsense negotiating. My saleswoman did away with the usual inclusion of delivery charges and taxes in my offer to be taken to the Sales Manager. She said write down your offer over invoice; the non-negotiable extras will be added afterward. Deal done! 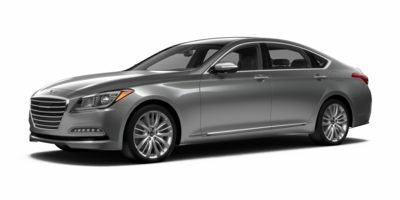 Buying a 2010 Hyundai Genesis Sedan, and saving $5000 off of MSRP. The vehicle was selected based on the many very positive accomplishments of this model. The dealership has a reputation of working effectively with it clients to ensure they come away with the best price on the vehicle they want. I used the information from my report to ensure that all parties were clear on what each hoped to get out of the relationship.We received the car of our dreams and they received the profit they needed. Buying a 2008 Hyundai Veracruz, and saving $9000 off of MSRP. Good cash incentives in this poor economy! 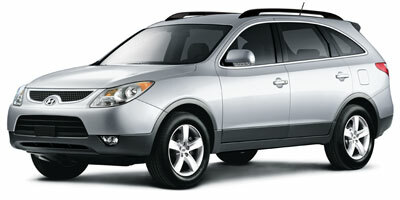 Leasing a 2008 Hyundai Veracruz, and saving $2500 off of MSRP. I focused my shopping down to two vehicles and then only wanted to deal with a dealer that understood that I was ready to buy and was willing to work quickly towards a reasonable price. I am also aware of tricks they try to play, so if I spotted one of them, I walked out of the dealership. When I mentioned I know the wholesale price, dealing was quite simple. I asked what the final price of the vehicle was without incentives, taxes or trade in values. That way I knew exactly what the car was being sold for and left no room for the dealership to play with numbers to make it look like a more attractive deal than it was. After I had that value, I factored in the incentives, taxes and trade in value to see what my final cheque value would be.